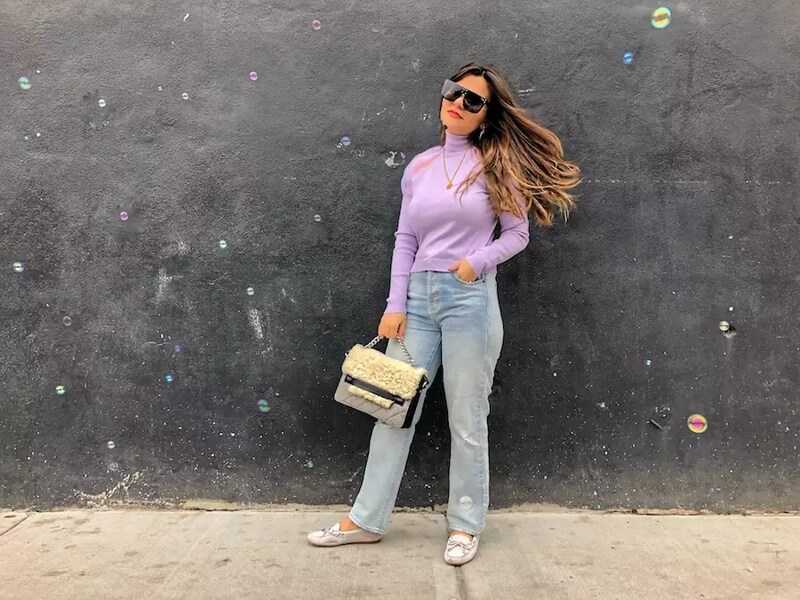 Do You Wanna Work Free For Brands as A Blogger? Ok, I know I’ve started harshly. Let me rephrase it. Do you wanna work free for your full-time blogging job? It’s ok If this is just for fun. What if the thing you started as a joy, becoming a stressful (not always, of course) full-time thing? Oh, no I don’t think so. According to Orbit Media’s latest report, it would take the average blogger approx nine hours and 45 minutes to write a 3,000-word blog post. I am not even taking a consideration of your time for photo shooting, editing photos, preparing an outfit and so many other things. If you publish a few blog posts a week, blogging becomes a real full-time job. Even though so many people have doubt about that still. I didn’t even mention about your time for social media, SEO, e-mails, meetings with potential collaborations. If you also have a full-time job, blogging must be a passion more than a job for you. It’s the most time-consuming thing with a full-time job and with your social life. You probably barely keep up with everything. I am not trying to be dramatic here. We are blessed that we can work with our laptops from wherever part of the world we want to work. I am not trying to say that this is the most difficult job. Perhaps It’s not, perhaps It is. My point is, there are really lots of works. 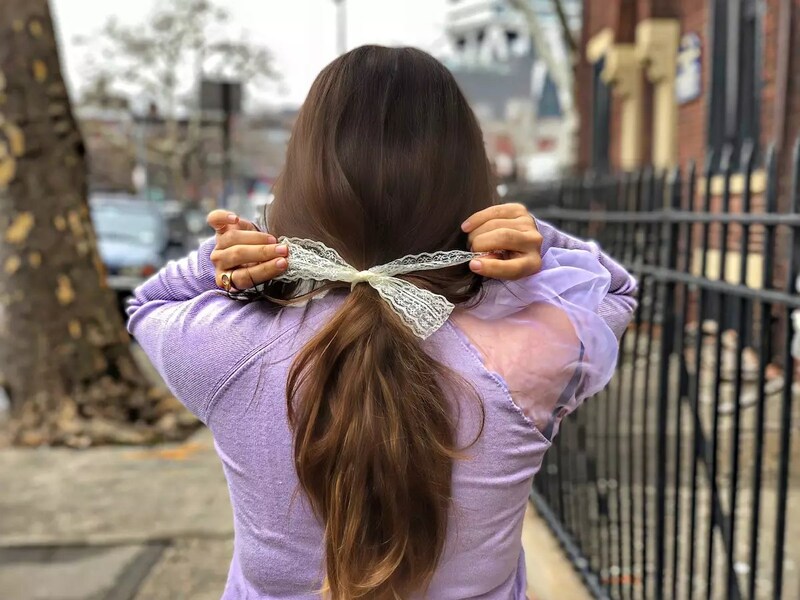 Being a blogger is a totally different thing than being an Instagram socialite. Let’s take this current post of mine. 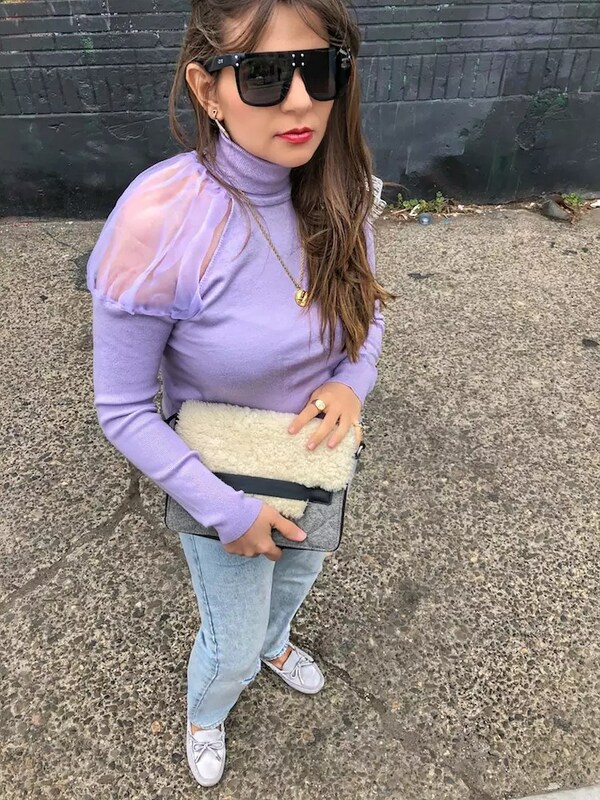 This post is actually under the topic of Blogging Tips but at the same time, It’s an outfit post yet It’s also a part of my current Lavender Takeover of The Fashion World: 5 Days Violet Challenge. 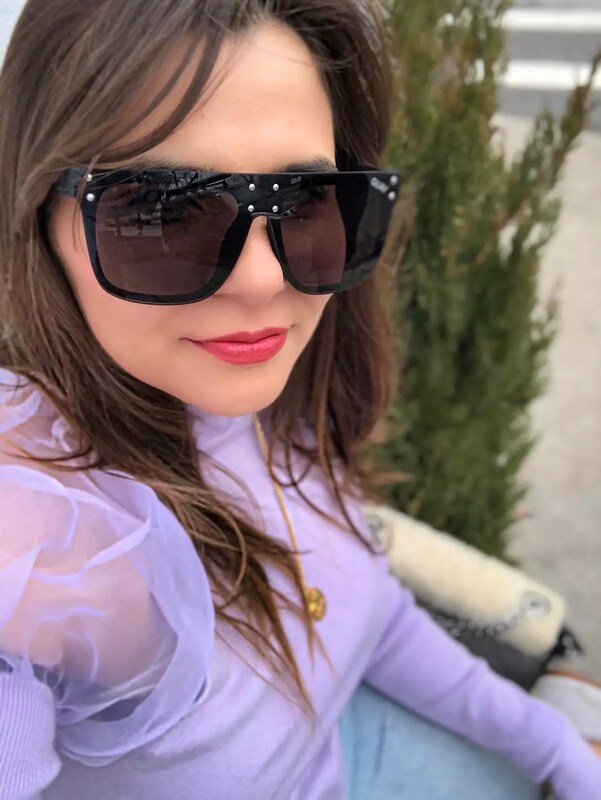 You can also say that I am waving a hand to Content Strategy Examples for Fashion Bloggers with this single post. I am writing my 285. word in this article and still didn’t come to the point I wanna highlight. As a new mom, every day is a new learning day for me and a challenging one. I have so many challenges. I’ve never dealt with two 6 months old babies in my life. I have to feed them, teach them something new, help them with their crawling, with their solid food experience and so on. On top of all these, I have to be with them every day. These last couple of days Umay starts to look for me every single day. Whenever I am leaving from home, she suddenly wakes up start to cry as calling me “anne” which means mom in Turkish. It’s really sad to leave her. Most of the times, I can’t resist her. Just stay at home with her until I calm her. When a Brand Ask for a Free Job I feel like I am stealing that time from my children. As you see whenever I put my children aside and give my time to my work or my blog, I am thinking which is gonna be the best value to my time? And when a brand sends me an e-mail for the free product I feel very sad and angry sometimes. Because there are some brands that keep insisting about the free product in return for an Instagram post even though I am telling them that It’s not suitable for me. At the same time, try to understand them. Most of the time, they want to be sure about ROI. As a digital marketing expert of 8 years, I applaud them if they really care about ROI. I do the same thing in my daily job. But the thing is I also do my homework about the bloggers I decided to reach. I check their blog traffic, social media existence on all social networks not only Instagram. If the Instagram is my number 1 platform for that particular campaign, I try to make sure if their followers are legit. Check their works with other brands and their creative approach to their organic contents. All these things I mentioned above that shows you about the personality of that blogger. I am not sure if all the other marketing professionals are sensitive as I am. Most of the time without spending their time on checking out the bloggers they just shoot an e-mail for free products. There are the worst kinds that didn’t even know my name keep sending me e-mails starts as “Hi Alley”. Are you serious? Just give some time to my work and learn my name first!!! Do I not do any free product endorsement? Yes, time to time. 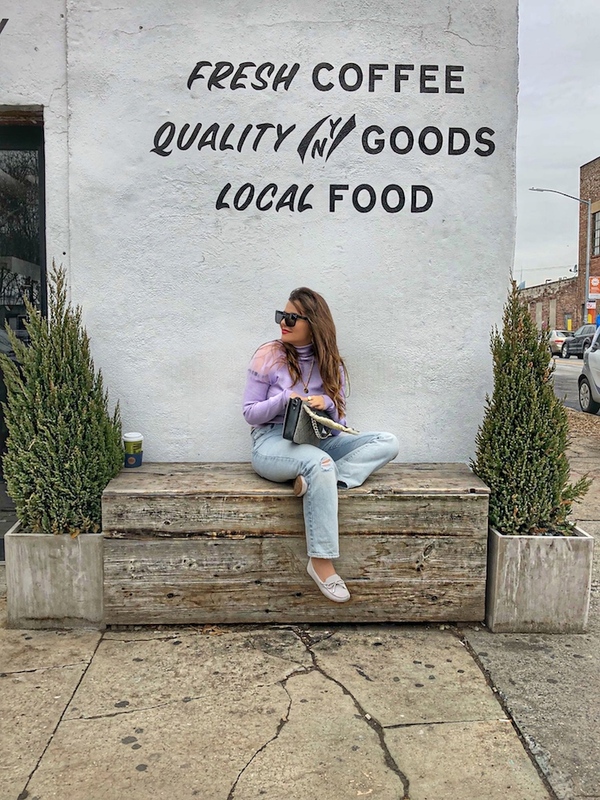 But only if the brand put more value on my Alley Girl brand. If I am the only side to put some value to the collaboration I am expecting to be paid. And this doesn’t mean that I am gonna work with you 100%. I also check the appeal of the brand. If the brand makes sense to work with then I agree to work with. This is why I feel very disappointed. Maybe, angry sometimes when a brand asks for a free job over and over. Because they don’t aware that every time I say yes to a free job I am stealing that time from my children who are longing for me. 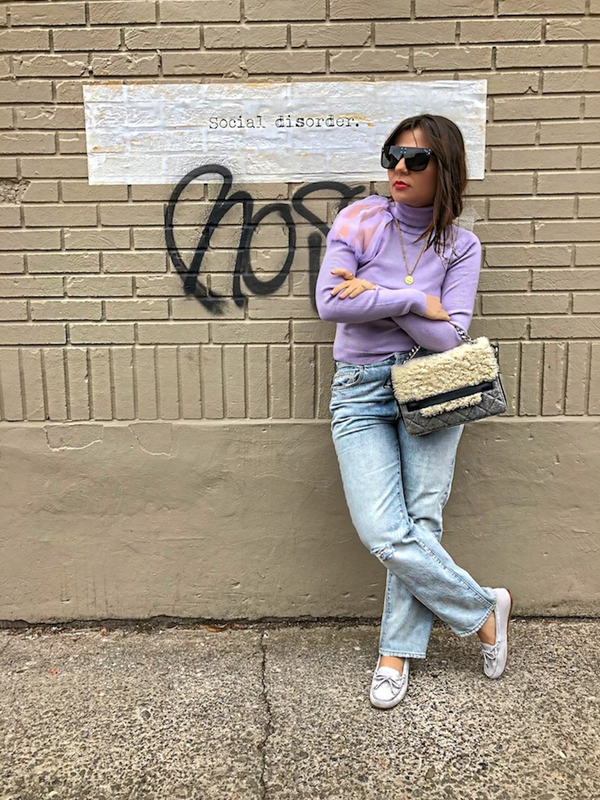 Do You Wanna Work Free For Brands as A Blogger? No! So what should the new bloggers ask for payment? And this is why I want to tell my fellow bloggers, think twice when you say yes to a free job. Because time is the most expensive thing in your life to spend without thinking. If you are a new blogger, you should at least charge a brand for the hourly rate. If you think your blog has no traffic to consider to pay or no big social media following or engagement, just charge your hourly rate. We should all have these standards to make blogosphere is the better place for all of us. This is not only important for us but also for our readers. Because your reader is gonna know that you actually get paid for your review or for your creative work. So they can decide to buy that brand or not. 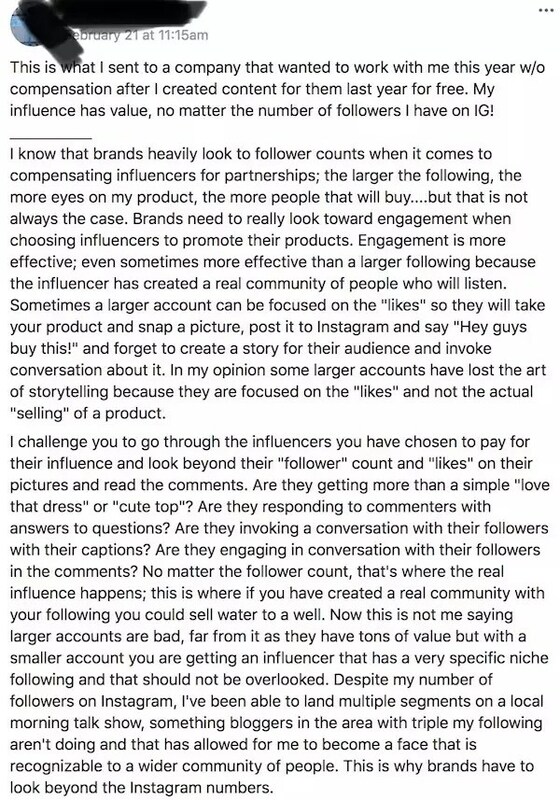 I just came across to this topic on ShopStyle Collective Facebook group a few weeks earlier. 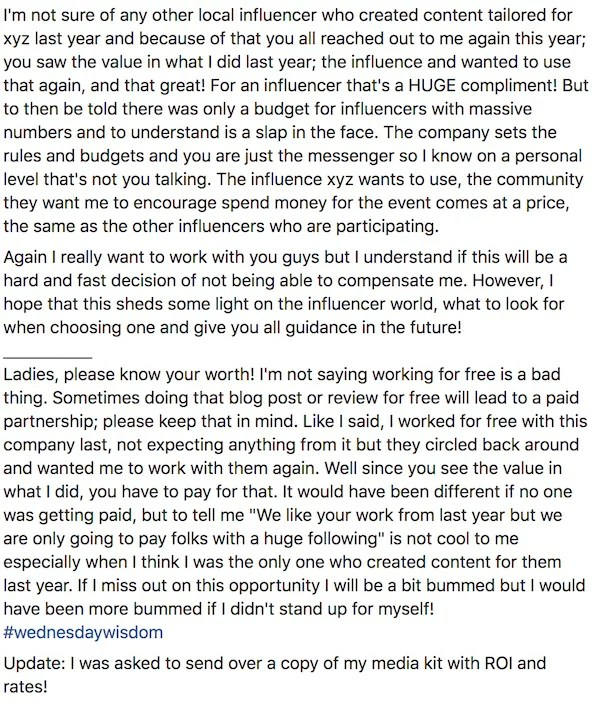 A fellow blogger friend fight for her work and actually got what she deserves at the end. You can see her response to the brand in below. 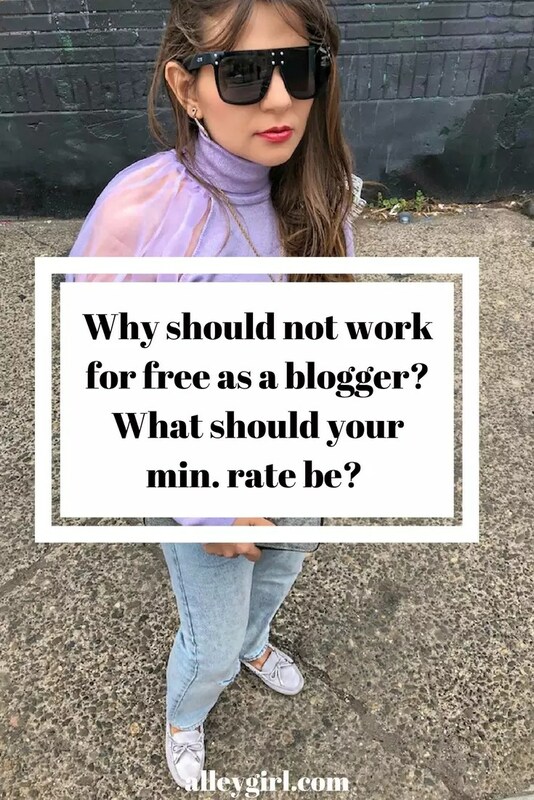 Do you still think that do you wanna work free for brands as A blogger? Oh, no I don’t think so.